In 1988 Mark commenced his articles with Lee Fireman Regan, initially doing tort work, before moving into the area of Statutory Accident Benefits. Since that time Mark has developed a specialization in inter-company disputes, addressing both loss transfer and priority matters both at private arbitration and on appeal. 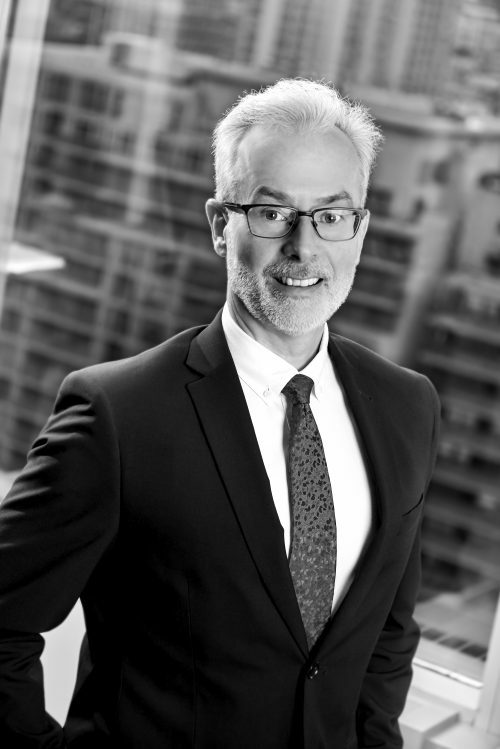 Mark, who has also practiced in the area of insurance defence, has argued arbitrations and appeals at the Financial Services Commission of Ontario, in the Ontario Superior Court of Justice and in the Court of Appeal for Ontario. Mark and several colleagues moved their accident benefits practice to Dutton Brock in November of 2000, where as a partner Mark heads up the accident benefits practice group. Outside of work Mark enjoys spending time with his family, working on old cars and sailing. Mark attended Glendon College of York University and completed his Honours B.A. in psychology and philosophy in 1984. He went on to obtain his LL.B from Osgoode Hall Law School in 1988. He was called to the Bar in 1990. Regular speaker at Dutton Brock’s Annual Firm Seminars.